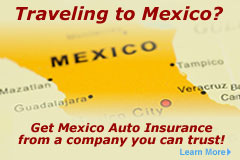 The Airport is closer to San Jose Del Cabo, which is rich in history. This is where we stayed last year. There’s a unique downtown core (typically referred to as OLD TOWN) and it’s full of little shops with a number of interesting Art stores. Make sure you take time to check out the quaint town square known as Plaza Mijares. If you happen to be staying in the hotel area of San Jose, bicycle rentals are a great way to go! Ride into town and explore the vast number of shops while enjoying a number of local coffee shops. Most recently, we stayed at the Riu Palace in Los Cabos. Much further from the airport but closer to the action packed area of Cabo; with a number of attractions. It has been rated in the Top 5 Tourist destinations known for its Scuba Diving and Snorkeling within the incredible marine life. Cabo is also famously known around the world for the ‘Arch’ or ‘EL ARCH’, the most distinctive rock formation located on the southern tip of Cabo San Lucas. There is a stretch of white sandy beach, an area they have named Divorce Beach. It’s great for sunbathing but extremely dangerous to swim in as the waves will very easily knock you off your feet. The other side is an area called Lovers Beach and this area is located on the Bay side and is much better for swimming. It also allows you to go from the Pacific Ocean to the Sea of Cortes in 2 minutes! You can board one of the many boats in the Marina (for a nominal fee) that will take you out to this area. It’s a beautiful ride. If you are looking for adventure, there are a number of ATV tours and adventures. We did Wild Canyon Adventures and this was a fantastic day! If you are looking to explore the area and all it has to offer, renting a car is the way to go. We’ve done it and highly recommend the adventure!